For much of its existence, the Freelancers Union’s reason for being was to get workers who weren’t in full-time jobs access to health insurance. 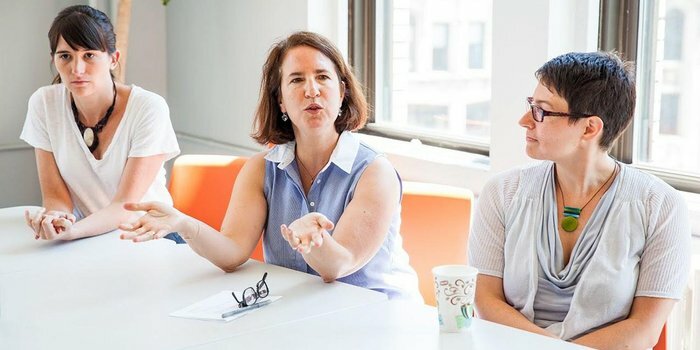 In 2001, the Brooklyn-based nonprofit started brokering group-rate health coverage to its membership of graphic designers, strategy consultants, and others who work job-to-job. Later, it launched its own insurance company that would sell you coverage if you could prove that you made your income from contract work. Now the group is trading in its insurance business to provide medical care directly. The 25,000 members in New York covered by Freelancers Insurance Co. will in 2014 be rolled into plans provided by Empire BlueCross BlueShield. Freelancers Union will open 15 primary care clinics around the country in the next five years, says Sara Horowitz, the group’s executive director. It already has two clinics in New York, where workers who buy plans from its insurance arm get primary care with no co-pays and with access to other services. Tai chi classes, anyone?